Germany Deports Palestinian Convicted of Terror, Cancels her BDS Event at US ambassador's Request. 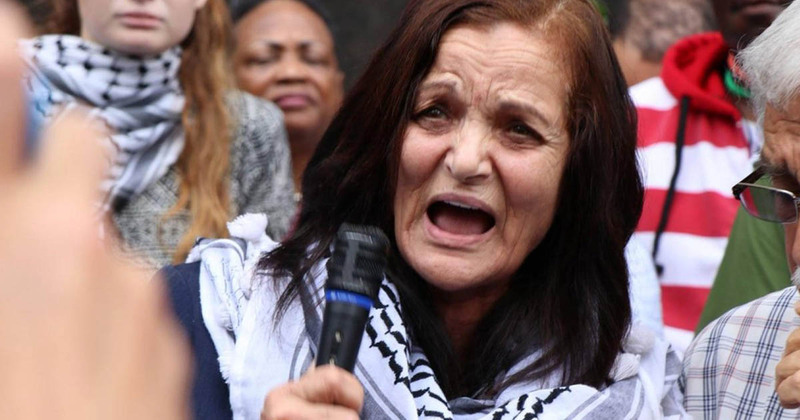 US ambassador to Germany Richard Grenell causes Germany to deport convicted Palestinian terrorist Rasmea Odeh who murdered two Israelis and bombed the British Consulate. Odeh was sentenced to life in prison for her role in a 1969 terror attack where two HebrewU students Leon Kanner & Eddie Joffe were killed. Thank you Amb. Richard Grenell for leading the effort in speaking out against Germany hosting convicted Palestinian terrorist Rasmea Odeh, who has, as a result, had her visa revoked. Islamic terrorism against Jews should never be tolerated. Everything wrong with the boycott Israel (BDS) movemen. Heard about BDS? It's the latest push by anti-Israel forces to boycott Israel. It stands for Boycott, Divestment and Sanctions, and it's not only is it poisonous for Israel, but for the world as well. Israel is one of the freest countries on earth, where everyone--including Arabs--benefit from that freedom. If Israel continues to be singled out by BDS and suffocated economically, the damage would ripple throughout the globe. In five minutes, learn about BDS and why it must be stopped. Every year hundreds of thousands of people all over the world take to the streets for huge marches, demonstrations and protests against Israel's right to exist. They took to the streets to spread hate against Israel. They do not protest against the Islamic persecution of Christians in Iran. They do not protest against the slavery condition of Hindu women in Saudi Arabia. They do not protest against the brutal Islamic persecution of Christians in Pakistan. They do not protest against ISIS, Al Qaeda, Boko Haram or Hamas. They protest against the only democracy in the Middle East, the only country where women and Christians are protected and free. These people do not care about human rights, they just hate Israel.